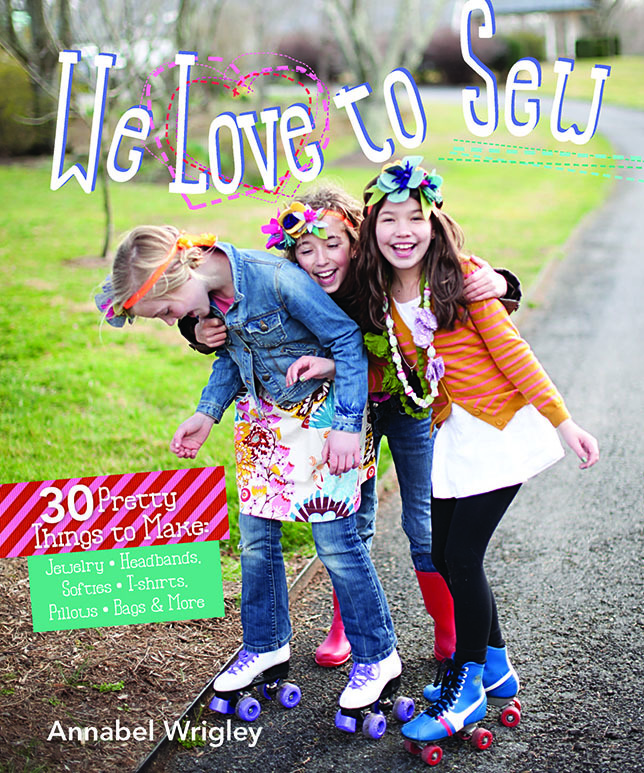 What a fun and exciting way to get the ‘younger’ set involved in the sewing/quilting/embroidery world. These new imprints from C and T Publishing strive to instill a love of handmade in the next generation and encourage kids to “Stitch Your Art Out”, as the tag line goes. This imprint will nurture new sewers, embroiderers and quilters with accurate, inspirational, educational and easy to use ideas and projects. There will be 6 titles per year, along with add-on products. The first round of add ons will be 3 coloring books that teach creative coloring with color wheel theory and other design lessons. Plus they are just cool, fun pages to color. The coloring books deliver in April. Stock numbers are(top to bottom) 20218, 20219 and 20220. The titles will introduce new, fun skills with cool projects to make for themselves or as gifts. The books and products will be geared to the 8 to 14 year olds. Oftentimes a smaller segment will be targeted, such as 8 to 11 or 11 to 14. The books measure 7.5″ x 9″. 128 to 176 pages long, with chunky spines. Look for these new books at your favorite independent quilt store. Previous Previous post: Congrats to Winner, Linda! Next Next post: CELEBRATING American Patchwork & Quilting! I wish you had something for even younger children. My four year old granddaughter wants me to teach her to sew. She’s doing really well but it’s hard to come up with appropriate projects that she’ll be able to do successfully. How fun! gotta get some! Excuse me. Why is this program aimed directly at girls? Broaden your focus.